Please welcome Kelly of Learning in Two Languages. 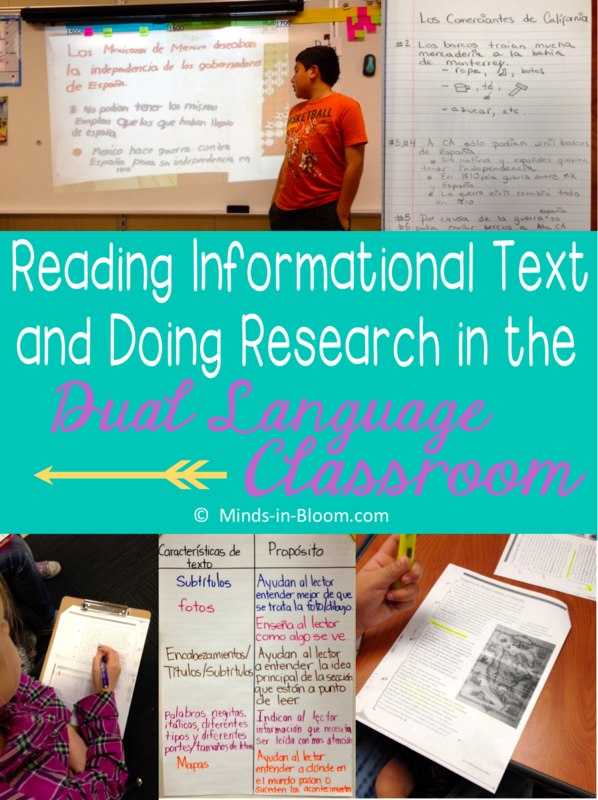 Today she gives us a wonderful peek into how she teaches reading informational text and research in a dual language classroom. Thanks for sharing, Kelly! Teaching children to effectively use comprehension skills to understand what they read is not an easy task. 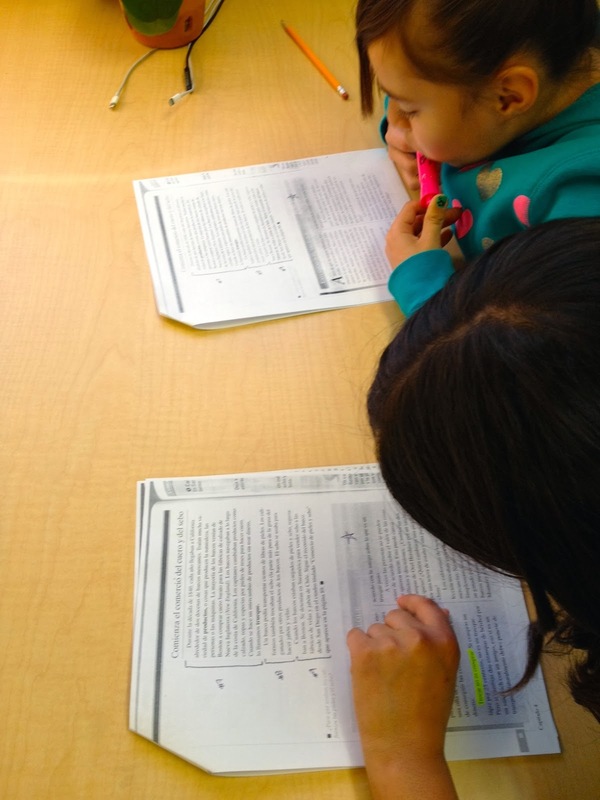 As teachers we know that we can spend months helping students tackle complex texts; however, I have learned that it all becomes clear – whether we have equipped them with all they need – when they have to apply what they have learned. 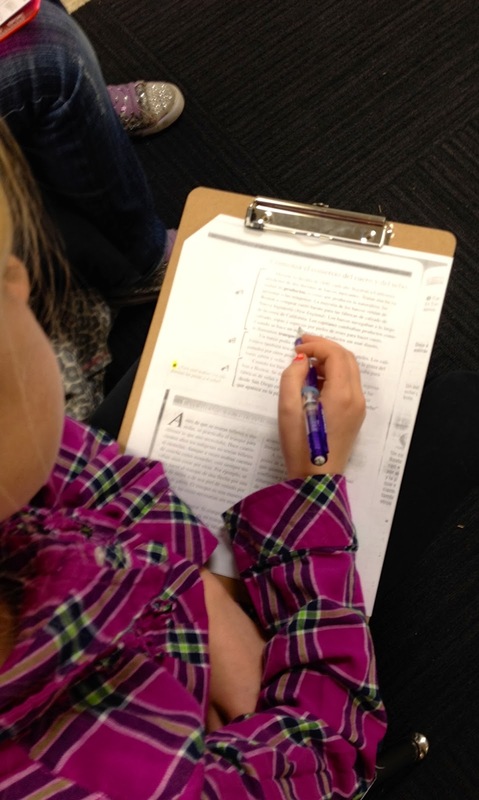 There is not a better way to gauge our students’ reading skills than when we ask them to do research. 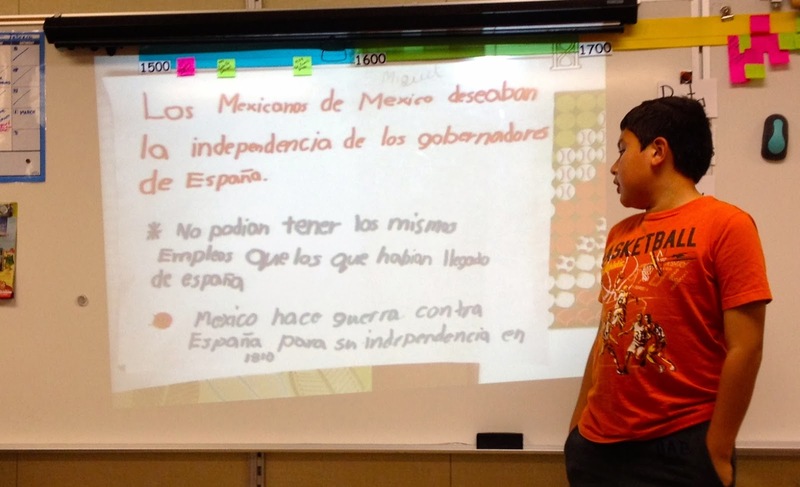 In the dual language classroom (where students receive instruction in both Spanish and English), children are expected to be able to read complex informational texts in both languages. 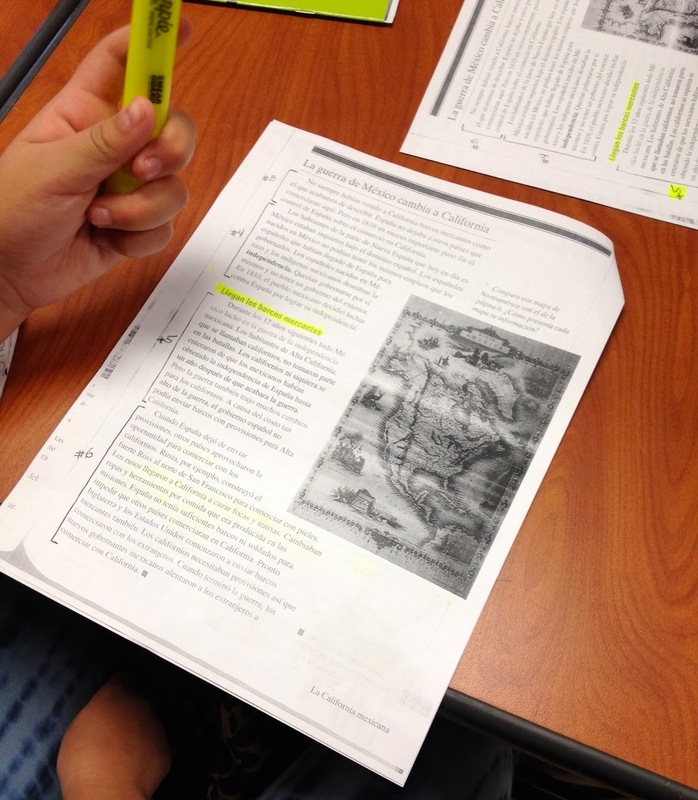 Using the reading block alone is not enough; therefore, all instruction needs to be connected to be able to work (social studies, science, writing, and reading). 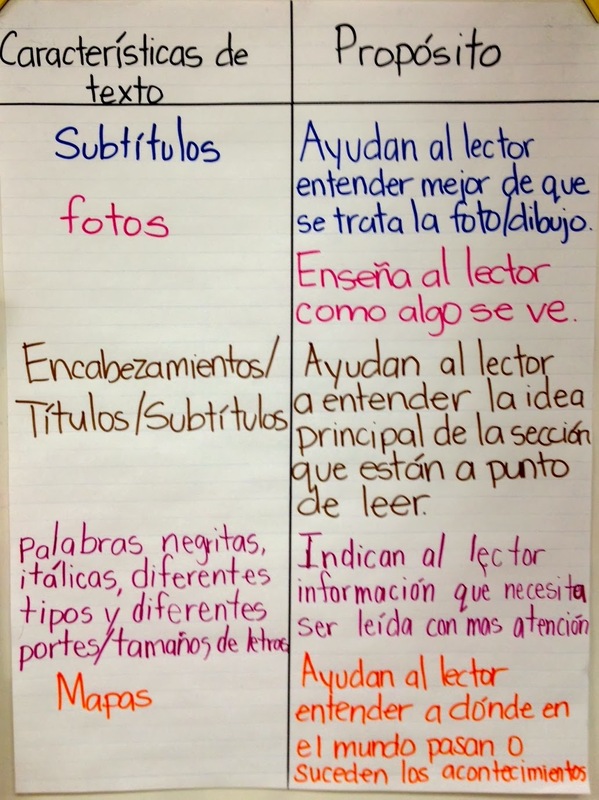 During our informational reading unit, students began exploring texts in Spanish, writing in English, and finished by doing research in both languages (reading in Spanish and writing in English). When the informational unit was introduced, we looked at the different features present in these types of texts (titles, subtitles, photos, captions, bold letters, italics, and more). Children read plenty of texts at their independent reading level. During writer’s workshop students wrote about a topic they were “experts” on, so they could focus on really learning the features of non-fiction rather than doing research. We then moved on to learn about text structures and how non-fiction may be organized (chronological order, cause and effect, problem-solution, etc.). This was a challenging concept for some students, but it was the first time (as fourth graders) that they were studying this. 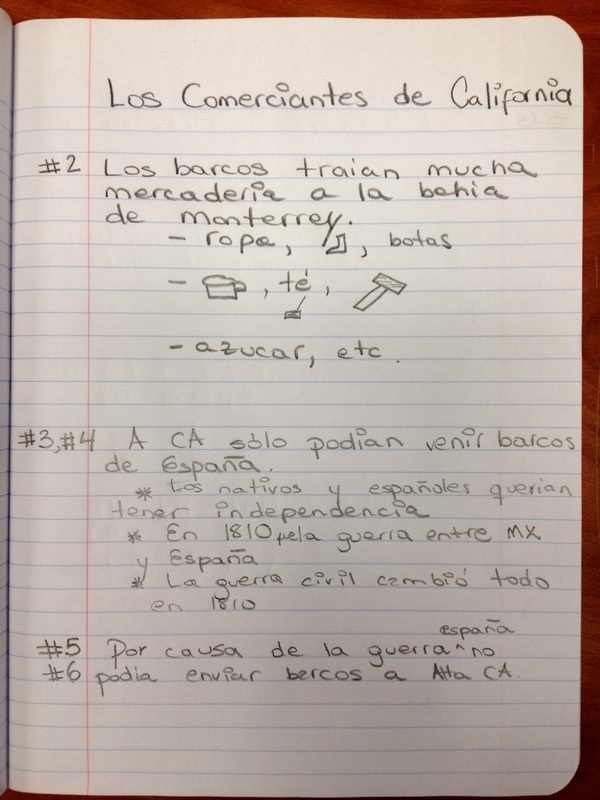 In the State of California, a big unit in fourth grade centers on the Spanish Missions. This was the perfect opportunity to see students in “real” action as they were reading to gather specific information on a topic that was new to many of them. 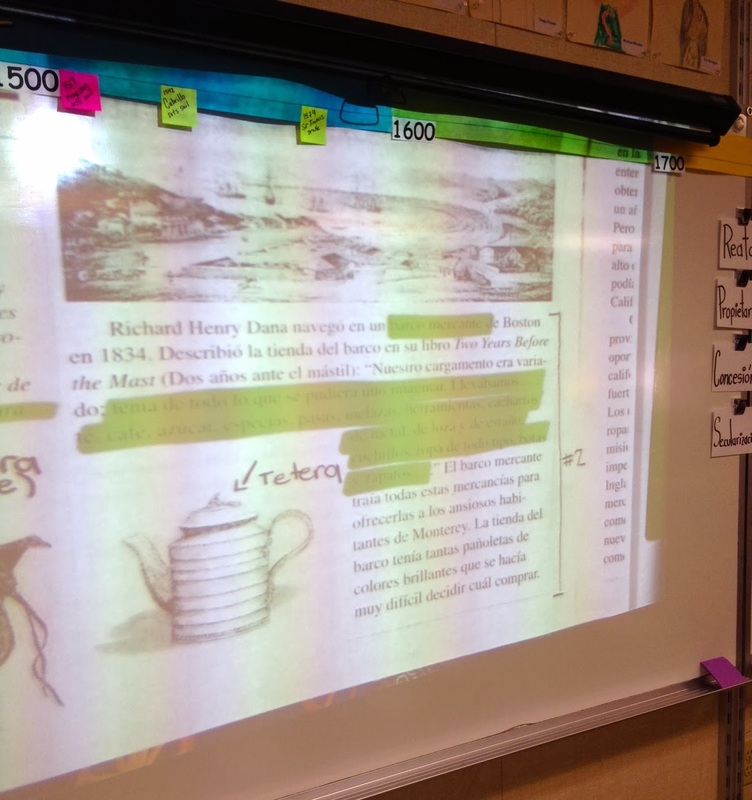 During reader’s workshop children learned different ways to take notes (using sticky notes, read-think-write, and partnerships, among other strategies) and how to look for specific information when doing research. During the writing and social studies periods, children continued doing research and meeting with partners or with me (either independently or in small groups). 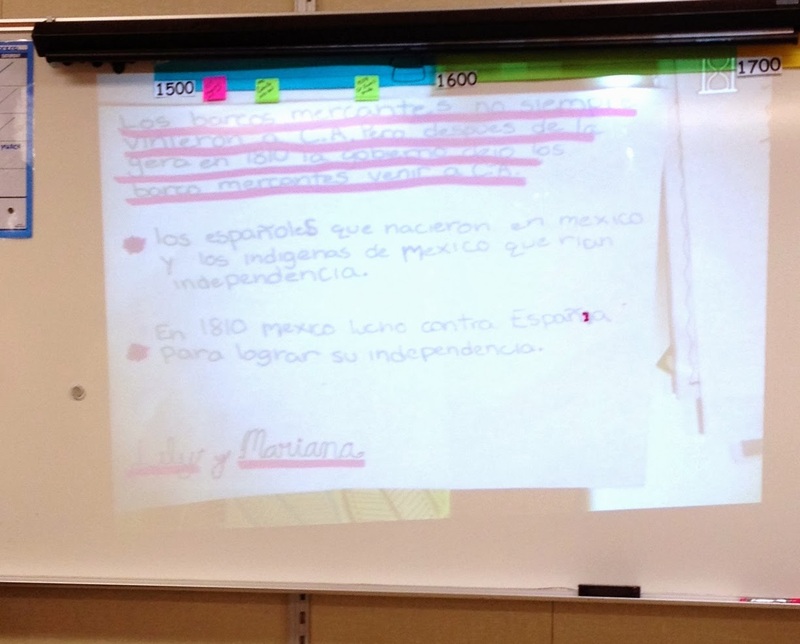 First, I paired up children who were strong in Spanish with children who were not as proficient but could handle writing in English. Why? Because in this combination students really needed each other to succeed. Second, I went to the local library and checked out books on the missions in both English and Spanish (over 50 books). Third, I made copies of many of the books. Copies? 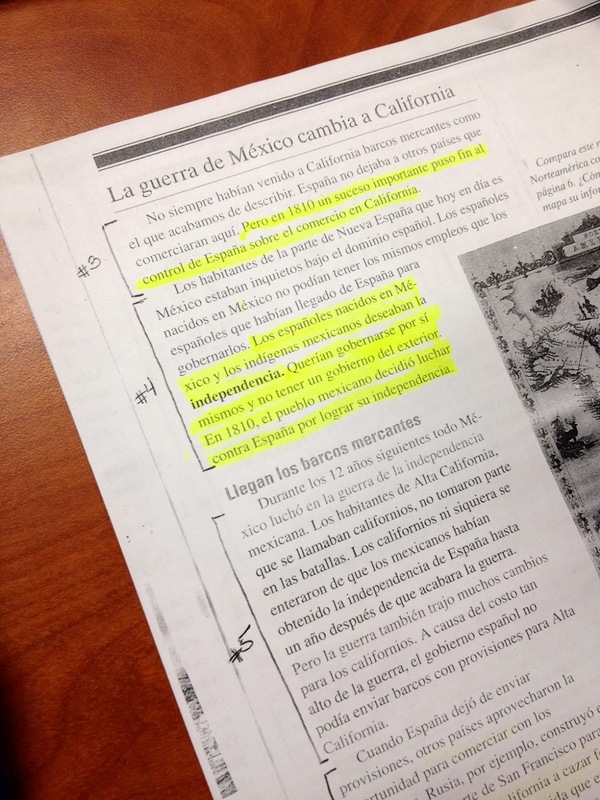 Yes, this way students would be able to highlight, write, and make specific marks/take notes when reading directly on the page. Fourth, I specifically taught highlighting skills and how we should treat our highlighters as gold (you cannot waste it and highlight everything). Fifth, we practiced, practiced, and practiced what it meant to work on pairs. What does it look like? What does it sound like? I am a big believer in modeling and teaching children exactly what we want from them. Students had several discussion starters and practiced using them throughout the day (not just during reading/writing/social studies). 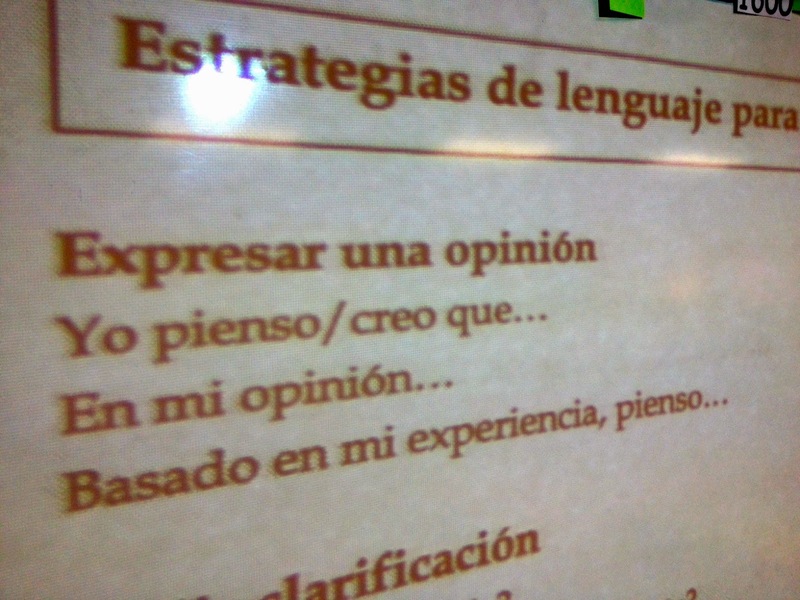 I also filmed them with the purpose of analyzing those conversations and work as a class. The debriefing part was fascinating, and while children were a bit shy at the beginning, they loved it towards the end. Sixth, I purposely divided the sections on the copies I made. This way students were asked to STOP after a specific section, discuss what had happened, and either record something they found to be important or keep reading. Seventh, I taught them to read and research with a purpose. What information where they looking for? What questions did they want answered? We discussed how it is always easier to find something we are looking for. Eighth, use technology last. Computers were used towards the end because I felt that students were too overwhelmed by the information that was available at times and too much time was spent looking at sources that were not very reliable. Ninth, I met and coached students as they needed. Some groups were able to do great without much input; others needed more guidance and support. Tenth, I reemphasized the importance to really THINK about their reading – did they understand, and can they explain what they read? If there were not able to, they had to re-read. That was the first sign that they needed to take out and use another reading strategy. And finally, I held them responsible for their final piece. It did not have to be something big, but a small presentation (two minutes) would suffice. I know it is quite a long list, but children need to be explicitly taught how to read for information, answer questions and take notes. Many students, I felt, were able to master and do great research. Others I know still need to work on this, but I am glad I know first-hand who they are. I am proud of not only their bilingualism but also their biculturism. Born and raised in Ecuador, South America, Kelly moved to the United States when she was 18. She obtained a bachelor’s degree in business administration and later worked in the private sector for a few years. She returned to school and obtained her teaching credentials and Master’s degree in education. 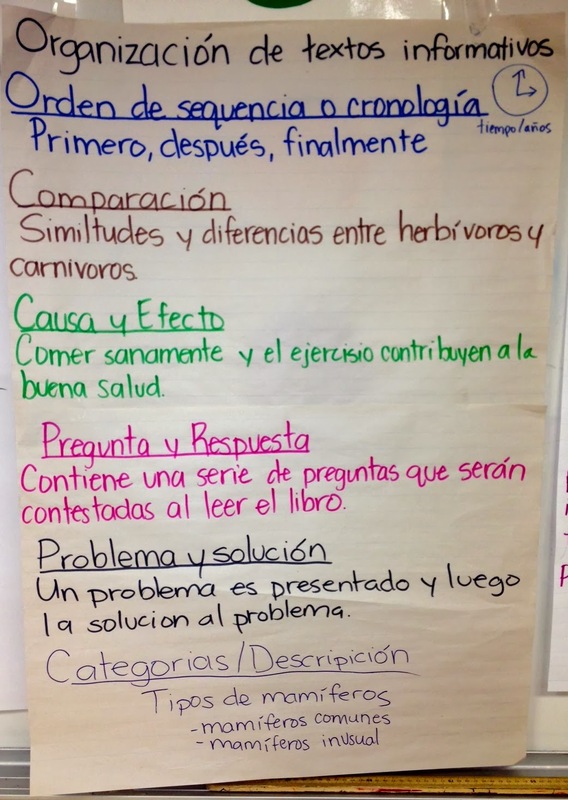 Kelly’s teaching journey has taken her many places, and this year she moved to a dual-language school, which is the main reason she decided to start her own blog (Learning in Two Languages) and create her own bilingual teaching resources. Thanks for the comment Alicia. 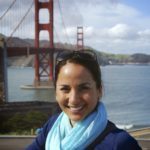 I too teach in Southern CA, so now I am really curious about the school they attend (there are not that many DL schools).